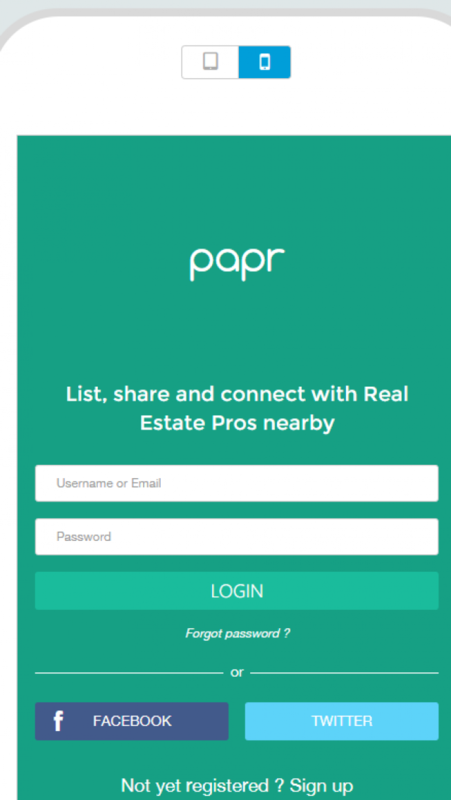 Papr connects real estate agents and other real estate professionals in close proximity. Users can also list their properties and set fences around their listings that notify other users when they are close to the property. Users receive a push notification when they are within a few miles of a featured property. RE Agents can also set fences to notify others when they have open houses.